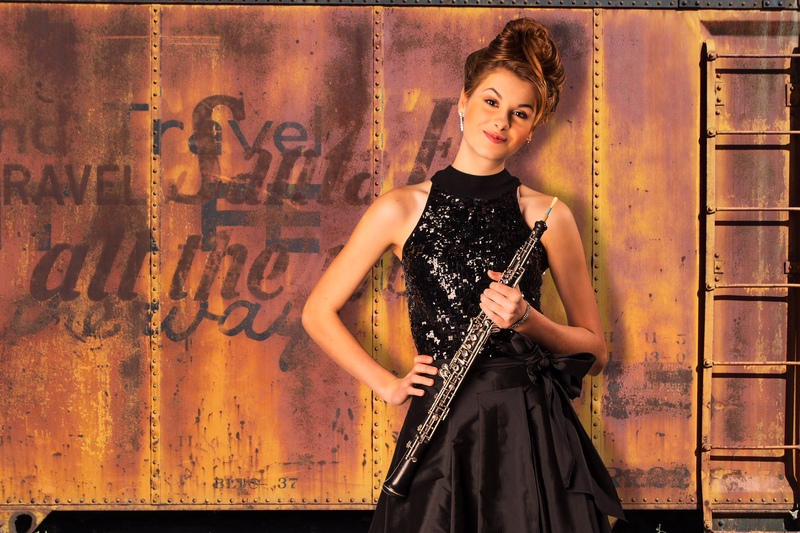 Allegra Knight is an award-winning artist and concerto winner who has served as principal oboe with the Oklahoma Opera and Music Theater Company Orchestra, Oklahoma City University Symphony Orchestra, and University of Oklahoma Wind Ensemble. She has performed as featured soloist in Mozart’s Oboe Quartet and concertos of Marcello, Saint-Saëns, and Le Brun as well as in the orchestra pit for Mozart’s Le Nozze di Figaro, Tchaikovsky’s The Nutcracker, John Adams’ The Wound Dresser, Franz Schubert’s Domestic Warfare, and Bohuslav Martinů’s Comedy on the Bridge. Vermont-born and Oklahoma-raised, she is a dual citizen of Canada and the United States and champion of new music who performs frequently in chamber and orchestral ensembles, from the composer-run, cross-genre Project 21: Music for the 21st Century to the period group Baroque-lahoma to the 2018 world premiere opera orchestra of Thomas Pasatieri’s The Vaudevillian. She is winner of the Oklahoma Youth Orchestras’ inaugural Dr. John E. Clinton Scholarship for Excellence in Music, the Midwest Double Reed Society Young Artist Competition, and the MacDowell Club of Allied Arts Scholarship. She has performed under the batons of conductors including Maria Guinand and Gerard Schwarz; was featured in a James Austin Smith master class at the International Double Reed Society Convention in New York; and has studied with Nancy Ambrose King at University of Michigan’s MPulse Oboe Institute, Jared Hauser at Interlochen, Sara Fraker at Bay View Music Festival, and Dwight Parry at Benefic Chamber Music Intensive. Principal teachers: Johanna Cox, Celeste Johnson, Dan Schwartz, and Katherine McLemore.